Born in October 2013 Leo (Racing name Ballymac Leo) Is a big softie. He currently shares his kennel with another new arrival Bambi. 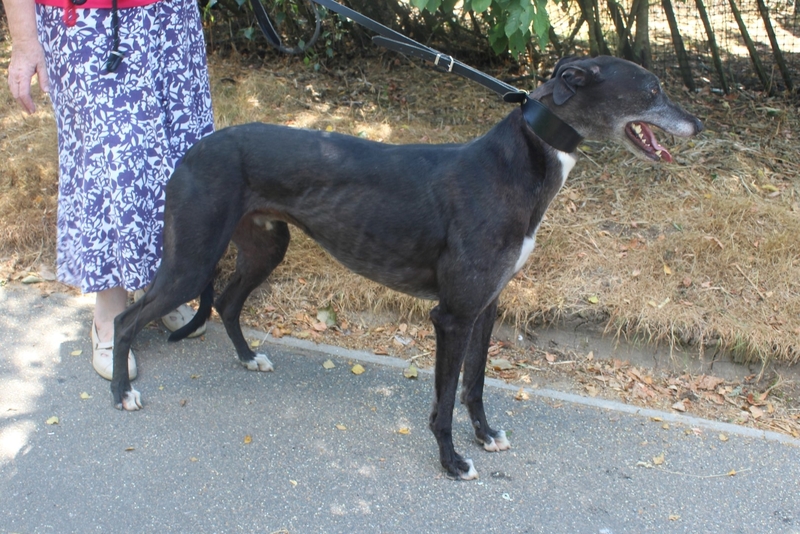 We understand in his racing career Leo was a hurdler, he is a tall lad and he certainly has the legs for it! Leo( wearing his muzzle) with his new friends and Volunteers. We always muzzle our kennel dogs when they are in public as everything is new to them and we need to be 100% sure of their reaction to small dogs and cats etc. That’s why all of our dogs are given a muzzle when they go home. 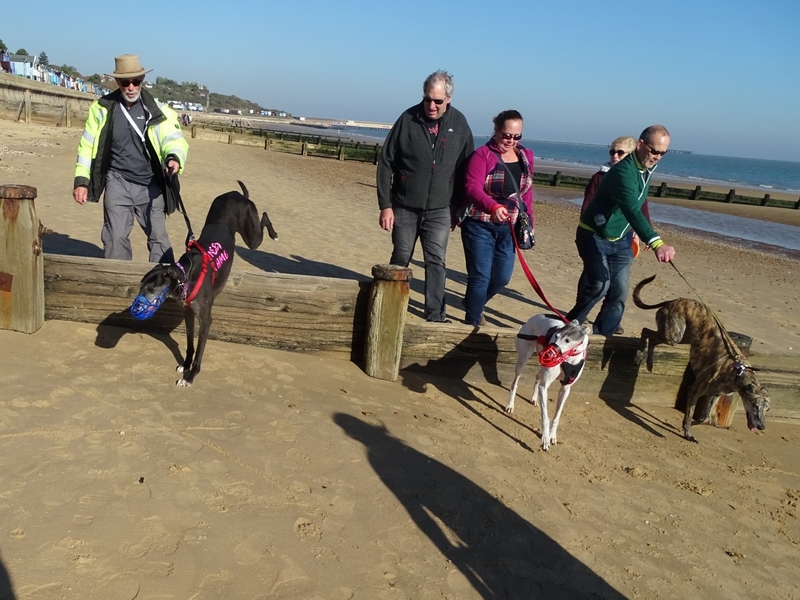 Update 22/10/18 Leo joined us for our monthly walk which this month was held in Frinton on Sea. This was right up Leo’s alley because not only did he have a paddle in the sea he also showed off his expert hurdling skills jumping over the sea defences. 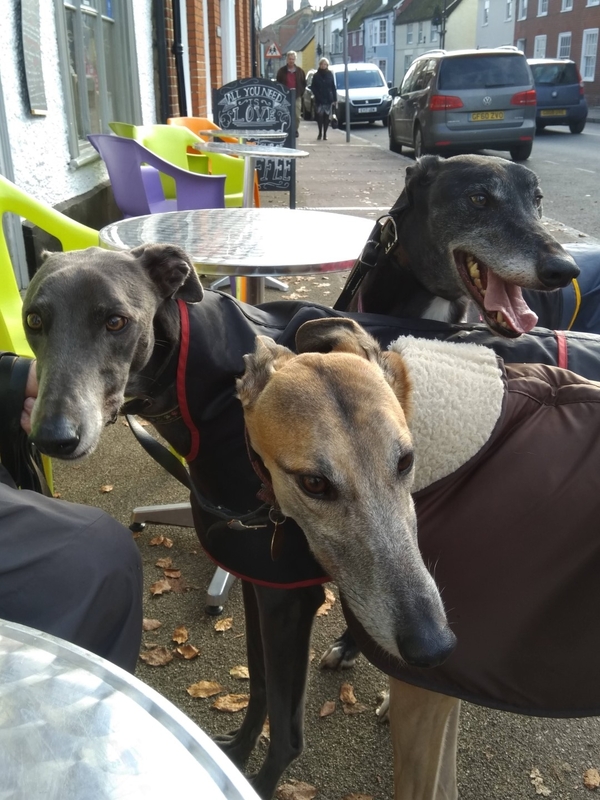 Update 25/11/18 Since the last update Leo has enjoyed several more outings with his volunteers Terry and Peter and their dogs. 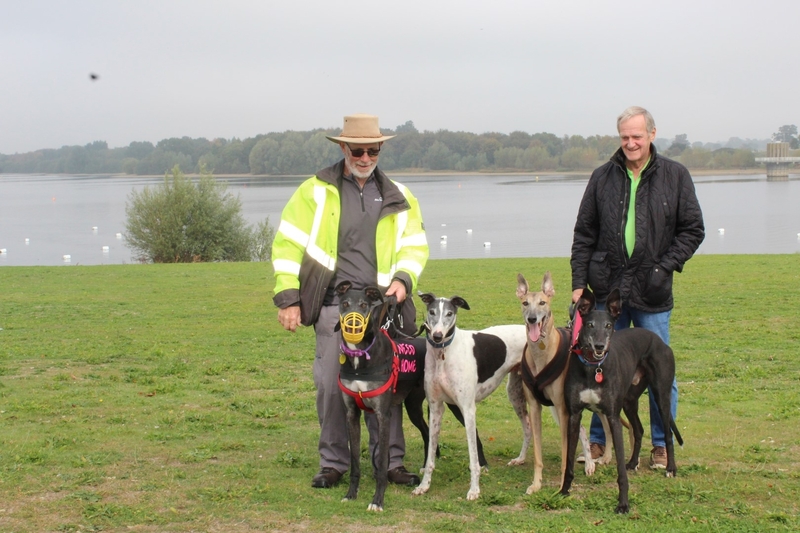 He has been to a pub in Dedham for lunch, various other walks and today he has been to Needham Lakes and had brunch in a nearby cafe. Leo at a cafe in Needham with his friends Davey and Toby.